Judy and Paul Katzmark celebrated their fiftieth wedding anniversary renewed their wedding vows and attended 5 o'clock Mass at Christ the King church. 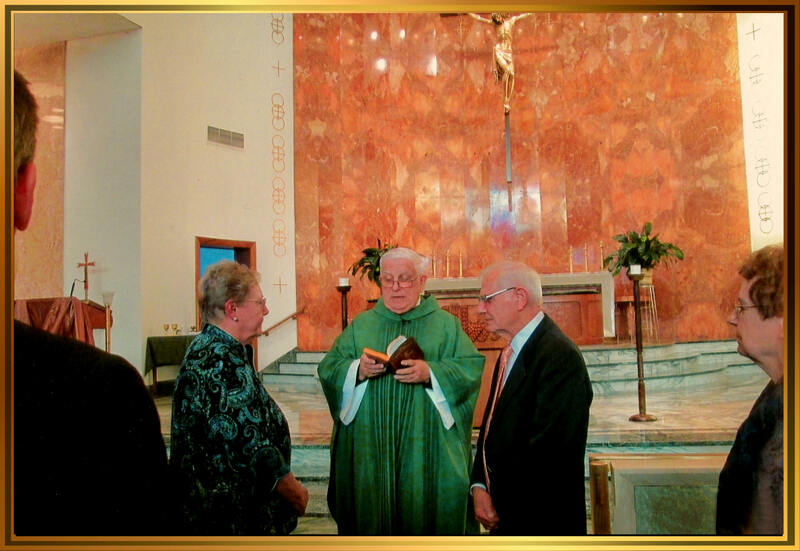 The services were officiated by Monsignor Michael Adams and witnessed by Peter Katzmark and Barbara (Dueshop) Banicky. People nation wide joined in celebrating the auspicious occasion. Among the notables attending included their son Michael J. Katzmark and his wife Laura, their daughter Victoria A D'Antonio, and their grandchildren Conor Brady and Katrina D'Antonio. After the services a celebration party was held in their honor at Beverly Country Club Chicago.